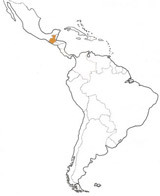 In 1839 the Republic of Guatemala withdrew from the federation known as the United Provinces of Central America. More than 30 years passed before President Justo Rufino Barrios reestablished a serious military presence in the country by professionalizing the army. 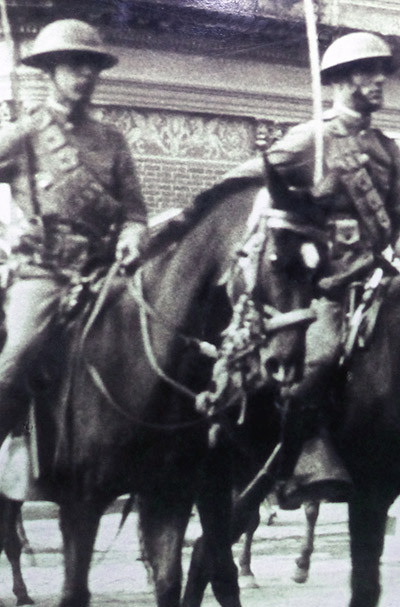 The creation of the Military Academy in 1874 marked an important step in this renewal process, and the fruits of his efforts were confirmed in 1876 with Guatemala’s victory in the war against El Salvador. Throughout this period, only soft caps, kepis, and hats were worn. In 1885 a French military mission was entrusted with the modernization of the army, and as expected, French influence on the Guatemalan army was substantial. This result contrasted sharply with former neighboring members of the federation, where German military doctrine and procurement policies prevailed. Still, no helmets were issued. Beginning in 1935 the Guatemalan army turned to the US for guidance and materiel. Soon after the Japanese attack on Pearl Harbor, considerable quantities of American military equipment began arriving. This included M1917-A1 helmets. The crews of the Marmon-Herrington CTMS 1TRB1 tanks delivered by Washington were equipped as their American counterparts of the time. After the signature of the Inter-Amer-can Treaty of Reciprocal Assistance (Rio Treaty) in 1947, more US equipment began arriving in Guatemala, including various versions of the US M1 helmet. In the 1950s under the presidency of nationalist and leftist President Jacobo Arbenz Guzmán, a large quantity of Czecho-slovakian equipment was imported. These imports included a number of pre-Second World War German M35 helmets, which were distributed to non-combatant forces. After the collapse of the Guzmán regime, American influence reemerged, and more US military material was imported. In the early 1960s a large part of the 8000 men of the armed forces of the country was mobilized to combat an active leftist guerrilla movement. During this time and in the early 1970s, US M1 helmet liners were frequently decorated with insignia representing a specific combat specialty. Beginning in the 1980s, as political tensions with Washington mounted, Guatemala turned towards alternative suppliers of military equipment, especially Taiwan and Israel. Most of the Guatemalan infantry today is equipped with the Orlite 201 (M76) model or lightweight M1 clones. These helmets are usually issued in their original khaki-gray color or with jungle camouflage enhancement. Some units apply their own emblems for ceremonial events. The Navy uses the white M1, decorated with a national frontal emblem. Tank crew members currently use the US DH-132 CVC helmet.